Pompeii is the most visited archeological site in the world. It is a World Heritage Site since 1997 and the number of visitors has touched 3 million visitors in the year 2016. Wondering ancient Pompeii, it often happens to meet a lot of people missing many must-see details, distracted by analyzing hazy instructions on maps or old signs on walls. 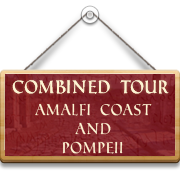 A guided tour of Pompeii is a plunge back in time. 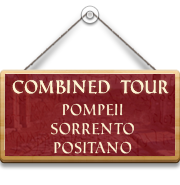 A selected choice of areas will give you a deep insight into the lifetime of 2000 years ago in an ancient Roman town. You will visit the highlights : the Suburbs on the way-in, the Gladiator’s Gym, the Theatre, main streets lined by shops, restaurants, mills, you’ll enter rich Roman dominions and browse in common houses; not to be missed the “grand” Roman Forum surrounded by temples, main markets and public buildings and at the background the profile of Vesuvius looming down the town. You will also get in touch with one of most moving thing there: to understand why Pompeii is the only place in the world where you can face a person of 2000 years ago thanks to the unique plaster casts of its inhabitants preserved there. 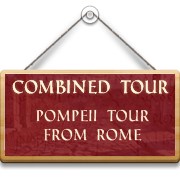 At your choice, we can add a stop at Pompeii “red light district”. 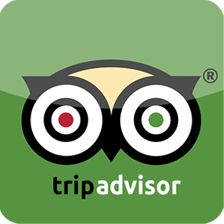 You can have a confident conversation with a licensed guide speaking fluent English and happy to answer to your questions or enjoying you with funny anecdotes and stories. The tour is lasting 2 hours or we can arrange a longer visit according to your requests. The tour is suitable for everybody: all ages are welcome. You will SKIP THE LINE at the ticket office because an official tour guide has a dedicated line to buy entrance fees for you. Highly recommended comfortable shoes and hats. 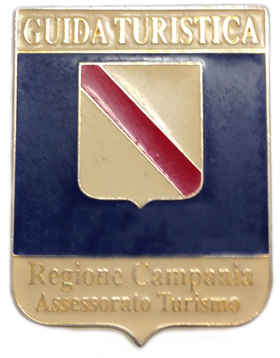 Not included in the price: entrance fees, lunch, gratuities. On request, I can provide a private car or mini-van service from your hotel accommodation, airport, port, train station or elsewhere, to the final destination.